Imagine a store with full size fuchsia monster trucks and unicorn tear vending machines. Unicorn tears not your thing? How about receiving a cupcake from Google, handing that cupcake over to Zappos, and getting a luxury watch in return. These are forms of experiential marketing, and real-life examples we will explore in this article. 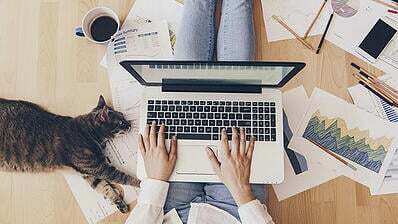 Also known as engagement marketing or interactive marketing, experiential marketing is a strategy in which brands give their customers and target market unique experiences. It involves a tangible, hands-on element. These campaigns step outside the conventions found in your average marketing campaign. Throughout these points you’ll find 13 examples of experiential marketing campaigns that worked, providing you a springboard to get your creative juices flowing. 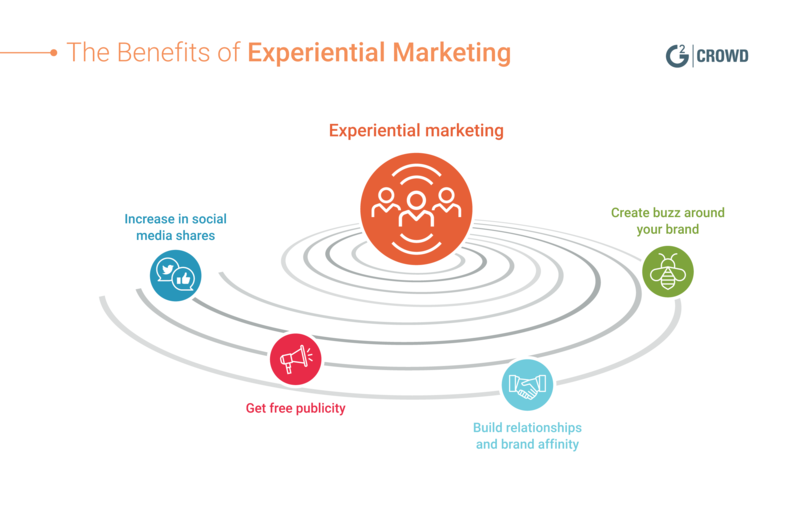 To start with, let’s take a deeper look into the definition of experiential marketing. Experiential marketing is all about being memorable and building relationships. In today’s marketing landscape, experiential marketing is unique because it happens offline. Experiential marketing is a strategy that provides customers and prospects with an in-person experience – it doesn’t happen online. The experiences are unique and engaging. Due to that interactive element, it is also known as engagement marketing or interactive marketing. An experiential marketing strategy builds relationships between a brand and its consumers, giving a memorable experience. Experiential marketing can be conducted by companies of any size, although the most effective campaigns usually require a decent budget. This strategy is also executed by companies in both B2C and B2B marketing. While there can be a digital element, the center of experiential marketing happens in person, not online like many other marketing strategies. Think of it this way: You have to leave your house to experience the activity. To share the event with your social networks, you have to take a photo, not a screenshot. I love experiential marketing. It’s why I wanted to become a marketer in the first place. Engagement marketing is an opportunity to get people excited about you and your brand. When you execute experiential marketing, you’re doing more than creating unique campaigns. You’re doing something appreciated by your customers -- giving them experiences that are truly one-of-a-kind. Every business interaction comes down to experiences. Whether it’s digital through your company’s business website or in-person at an event, interactions are what we remember. However, not all interactions (such as buying groceries or perusing Amazon) are truly memorable. Experiential marketing is. Even more than that, it provides consumers with something they want to be a part of. For a deeper understanding of what experiential marketing is and why it is such an effective strategy, let’s take a look at the benefits this strategy provides. As mentioned, experiential marketing is what I love about the profession. Why? Many traditional marketing tactics involve companies pushing out their messaging to consumers through activities such as commercials, print ads, and (shudder) telemarketing. These are the messages that many customers don’t want. Depending on the execution, outbound marketing can give marketers a bad name. Experiential marketing works because it breaks this mold. It’s not about fast forwarding through commercials on your DVR or flipping past the advertisements in your magazine. Interactive marketing is different from commercials, people WANT to interact with it. This article is full of experiential marketing examples. One of them is a Netflix pop-up exhibition. Not only is it an event people want to attend, they legitimately don’t want to miss out on it. What more can a marketer ask for? Whether you are executing B2C or B2B marketing, it is my sincere belief that marketing does not have to be boring. Scratch that, it should not be boring! And, there is no better place to beat boring campaigns than experiential marketing. Breaking out of the boring involves an element of risk-taking. Yes, this can be scary – especially when there’s a significant budget at stake, which is often the case with this strategy. The statement "no risk, no reward" applies to life as a person and as a business. If you do the same thing as your competitors, you’re just white noise. Adding a splash of color into your strategy, even if it’s not always the right color, is how your brand will truly reach the next level. And, it's where the fun of experiential marketing takes center stage! Experiential marketing offers four major benefits, including social media, publicity, increased brand affinity, and creating buzz around your brand. Let’s take a deeper look at each of these benefits. One of the biggest benefits of experiential marketing is social media marketing. These experiences are memorable, so those participating want to share them with their friends. By having an aspirational quality (or, for lack of a better phrase, by “being cool”), social media shares are sure to be present on every platform. In fact, based on a survey by Event Marketer, 98 percent of consumers have created and shared digital or social content at branded events. People want to to be unique; they want to feel special. According to Harvard Business Review, one of the top 10 emotional motivators that drive consumers is the desire to stand out from the crowd. When you provide individuals with an experience that makes them stand out on a social media feed, there is no doubt customers will share it. As we look at the experiential marketing examples below, you’ll see just how lucrative the social media opportunities are. Experiential marketing is designed to get people talking, and when executed correctly that’s just what those who engaged with your experience should be doing! Social media can one form of word-of-mouth marketing - people are sharing stories, news, and opinions with their networks. However, you can’t underestimate the power of individual interpersonal communications. Peer recommendations are still more valuable than any other form of marketing. 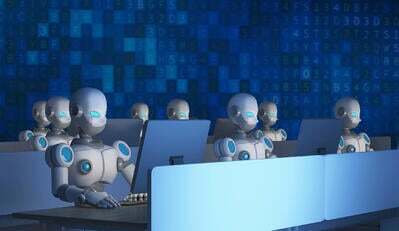 According to Data Intelligence Today, 92 percent of individuals trust their peers over advertisers when it comes to purchases. If you can get customers talking about you in a positive way, you are sure to reap the rewards in revenue. Experiential marketing is one of the best possible ways to start those conversations. While there’s no way to measure the discussions one has about you with their friends and family, you can’t underestimate their value. Experiential marketing doesn’t just get customers talking about your brand, it gets them talking in the best possible way. Experiential marketing involves emotions. Those participating are doing something fun and making memories. Those memories are what people share with their friends. Not only is that excitement contagious, the positive emotions affect your bottom line. As stated in Psychology Today, the emotional response to advertising has a much bigger impact on purchase intent than the actual content of the ad. Not only can emotions increase short-term sales, but they also grow brand loyalty. While growing brand loyalty is a common phrase in marketing, it’s importance is more than mere industry jargon. Emotions and the brand loyalty they create have a positive impact on your bottom line. Like word-of-mouth marketing, emotional connections can be more difficult to measure. However, that doesn’t mean you should stop aiming to achieve an emotional connection with your brand. Few marketing strategies have statistics with such a substantial impact on sales, and engagement marketing is one of the best ways to create lasting emotional relationships. You will find yourself reaping the rewards short-term in sales and long-term when loyal customers continue to purchase from you. It’s not just customers who will be talking about your brand! The best experiential marketing campaigns get you an extensive audience for your efforts, thanks to the free publicity you can get through newspapers, blogs, television, and other broadcast media. 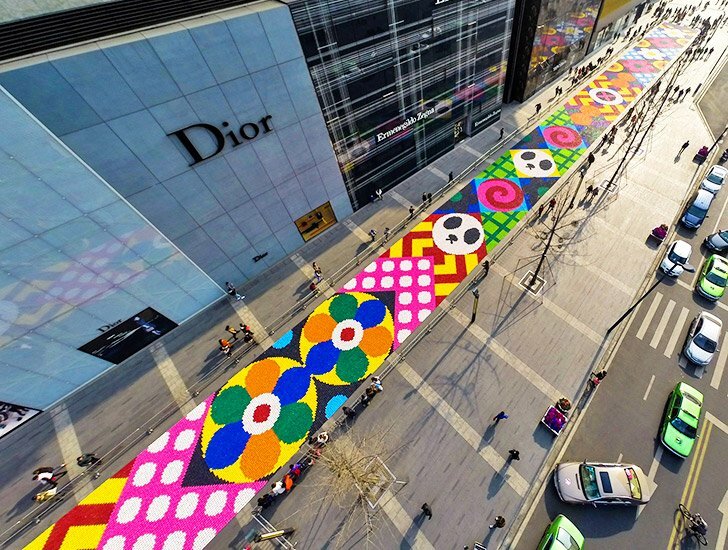 For example, in 2015, 13 tons of candy covering 14,000 square feet were carefully placed together in Chengdu, China, to promote the IFS shopping center. The impact of that media coverage extends to all of the publications’ readers and viewers, as well as their friends. This is a perfect example of an immersive experience being newsworthy and getting coverage to increase attendance. It’s important to note that while the Happy Place is experiential, it is not experiential marketing. Attendance at the pop-up is the end goal. For this to be a form of marketing, the experience would support a brand and its company goals. However, you can still take lessons from this example and apply it to your experiential marketing strategy. For example, invite news publications and influencers to a sneak peek at your event before it opens. Not only does it give them an intriguing news story separate from the doom and gloom, but it also happens before your event. This is how you can get people excited to come and interact with your brand before the experience occurs. Event marketing and experiential marketing go hand in hand. While all events can be considered a form of experiential marketing, not all experiential marketing is an event. What does that mean? An event, by nature, provides an experience. There is a set time for tangible, face-to-face interactions. However, not all experiential marketing campaigns are events. Events require tickets, a set time, and place. Guests plan to attend them in advance. 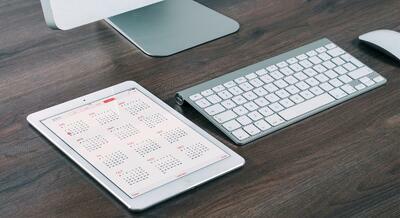 Email reminders are sent out, and a dedicated team promotes the event before the day. Engagement marketing does not always require as much promotion. While you may want to send out a press release and share the event on social media, engagement marketing has an element of surprise. In many cases, you won't send out an email inviting your subscriber list to book tickets. Later, we'll look at a pop-up event hosted by Netflix. While attendees booked their tickets in advance, as you'll see, the promotion to get the bookings primarily came from the media. 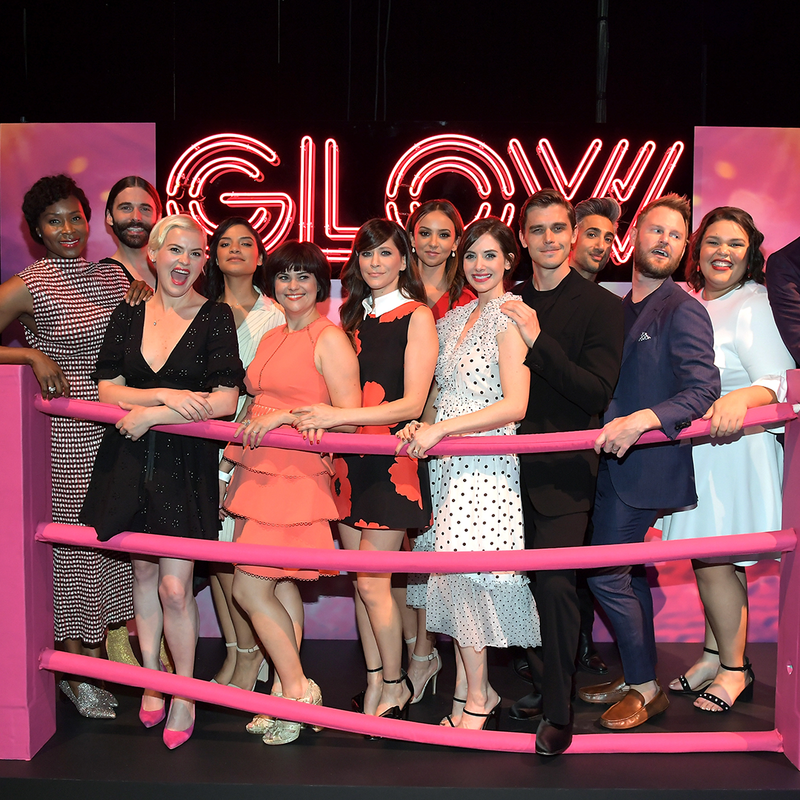 For an example of event marketing that is also experiential, consider event sponsorships, such as this installation at the POPSUGAR Play/Ground festival for women. 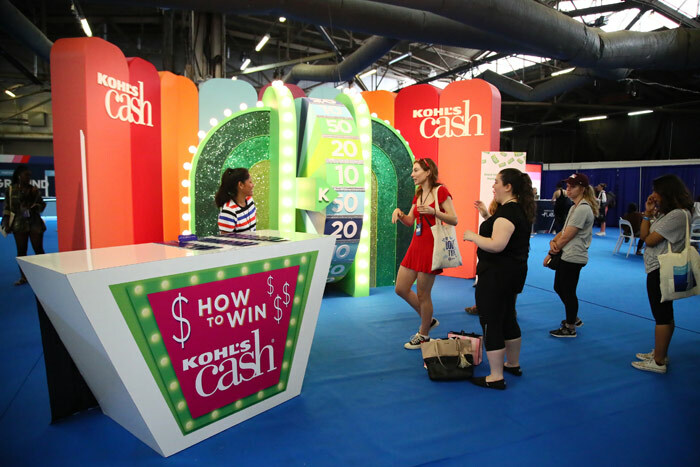 Attendees of the inaugural festival, held in June 2018, had the opportunity to spin the Kohl’s Cash wheel and win coupons worth $10, $20, or $50 in Kohl’s Cash or even a $200 gift card. A brand activation is the launch of a company’s new line, product, or service. It is a perfect opportunity for experiential marketing, as companies want to get media coverage and let consumers know their new product is available. They need this to create demand for the new products. It’s much easier to sell an item when customers know it exists! One of the best ways to practice experiential marketing in brand activation is through product sampling. 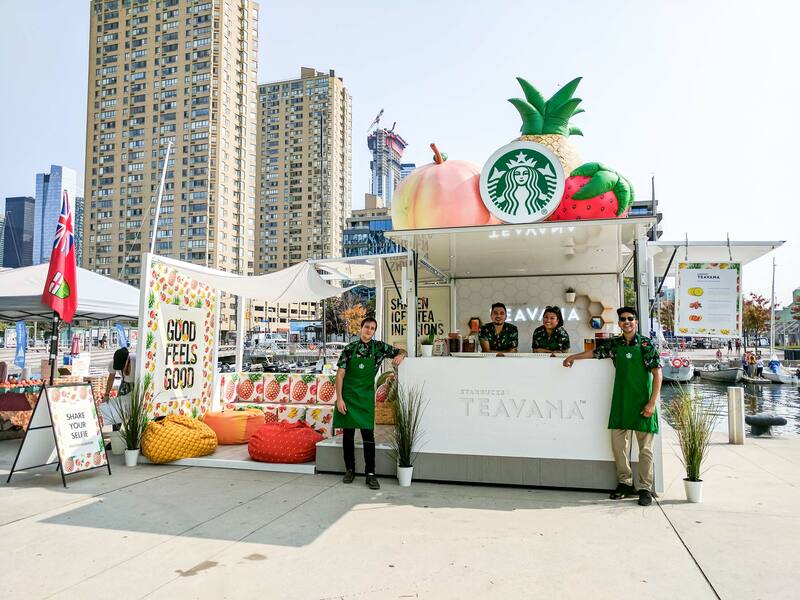 Astound Group, a design and fabrication company, used this strategy while working with Starbucks and Teavana while raising awareness and launching three new flavors of Teavana Shaken Iced Tea. The company created a mobile pop-up that toured summer festivals throughout the country. At each festival, attendees could stop by the tent to rest their feet on one of the fruity bean bag chairs and taste the new product. The colorful fruit on top of the tent earned the attention of festival-goers in a crowded space. Once at the tent, attendees could choose which one of the three new flavors they would like to order. Their drink was then prepared fresh on the spot by an experienced barista. To increase the exposure outside of each festival, pop-up guests were invited to share a picture with their tea on social media, including the campaign’s designated #goodfeelsgood hashtag. Like events, guerrilla marketing and engagement marketing go hand-in-hand. They both involve the element of surprise, often by creating an unexpected display or experience. The surprise is there to incite conversations around the campaign. As a result, they both require a heaping dose of creativity. Guerrilla marketing is not a traditional advertising campaign with money spent on paid media. For example, sponsorships are not guerrilla marketing. This is why the approach is also known as “ambush marketing.” It often does not ask for permission, which can cause problems. Sometimes, it can even result in legal issues. In order for guerilla marketing to be experiential, there must be an actual experience or element of interaction. Here is an example of guerrilla marketing that is not experiential. Budweiser spent millions of dollars to sponsor the 2010 Fifa World Cup. That didn’t stop Bavaria, a beer company in the Netherlands, from putting 36 young women in bright orange dresses throughout the stadium of one game. While the story did get headlines, Budweiser and Fifa were less than pleased. (To put it mildly). The women were forced to leave the stadium, threatened with six months in jail, and two of them were arrested. Experiential marketing offers the benefit of publicity and word-of-mouth marketing without the threat of legal ramifications. Thankfully, not all guerrilla marketing is illegal. For an example of marketing that executes both guerrilla and experiential marketing, consider the Casino Di Venezia’s campaign at the Venice Marco Polo airport. 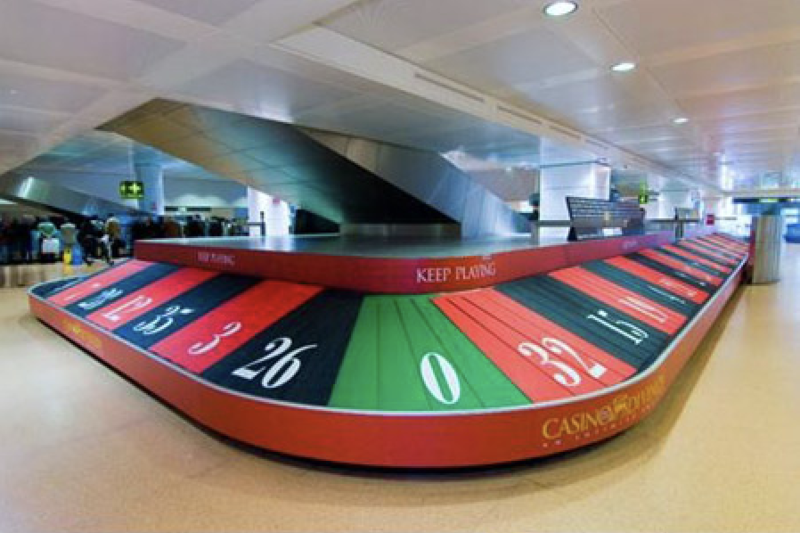 Instead of the standard black rubber conveyor belt carrying your luggage to you, Italian advertising agency Admcom turned the baggage claim into a giant roulette wheel. This is a campaign that, no doubt, would have received approval from the airline and payment for the ad’s placement. The roulette baggage claim does, however, still hold the surprising element of guerrilla marketing while also providing the experience of engagement marketing. Imagine standing with fellow passengers from your flight, waiting for your bag to drop and wondering if you will land on red or black. I'm curious as to how many people decided to gamble with each other right then and there at the airport! Or it could be the fact that many of those individuals’ partners (such as my husband) are the opposite. They hate shopping and resign themselves to sitting bored in the corner, watching the minutes tick by. Either way, experiential marketing gets customers into stores, then extends the time they spend there. Engagement marketing in a retail setting gets even the most uninterested customers intrigued. By getting customers into your store and keeping them there, you increase the likelihood of purchase. Joyful shoppers such as myself are entitled to a few more moments of guilt-free shopping thanks to our partners’ momentary amusement. The more interactive the display, the longer consumers can be exposed to your products and potentially buy. For example, there's only so much time my husband will spend in Topshop. Give him the opportunity to experience a virtual water slide, though, and he's sure to give me time to try on a few more dresses! 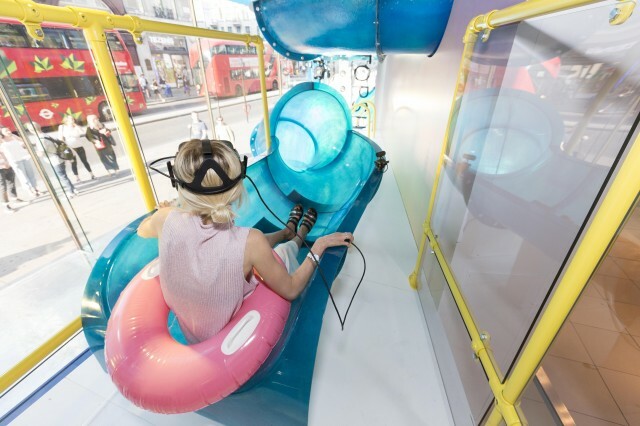 Experiential marketing is a critical asset for retail shops in the age of online shopping. Even shopaholics like me are regular participants of e-commerce. Between companies like Amazon and Walmart offering two-day shipping and the ability to find what you want at your fingertips (instead of getting lost searching in a store), what’s not to love? Just like omnichannel marketing, bricks and mortar stores have something online retail doesn’t -- the opportunity to interact and engage face-to-face, providing an authentic experience. Stores have now moved from a place to buy things to branded environments. Strategy and design company Consortia has even created a diagram of the branded spaces in New York City. In the image, you can see the vast white emptiness on the left; the more a space focuses on shopping, the less experiential it is. And knowing that the value of engagement marketing comes down to the experience, you can see how brands in the Big Apple have found the sweet spot right in the middle between experiences and shopping. Others, such as Nespresso, have moved to full-on experiential by offering classes. An example leaning towards the pure experience side is Hub Seventeen at Lululemon. 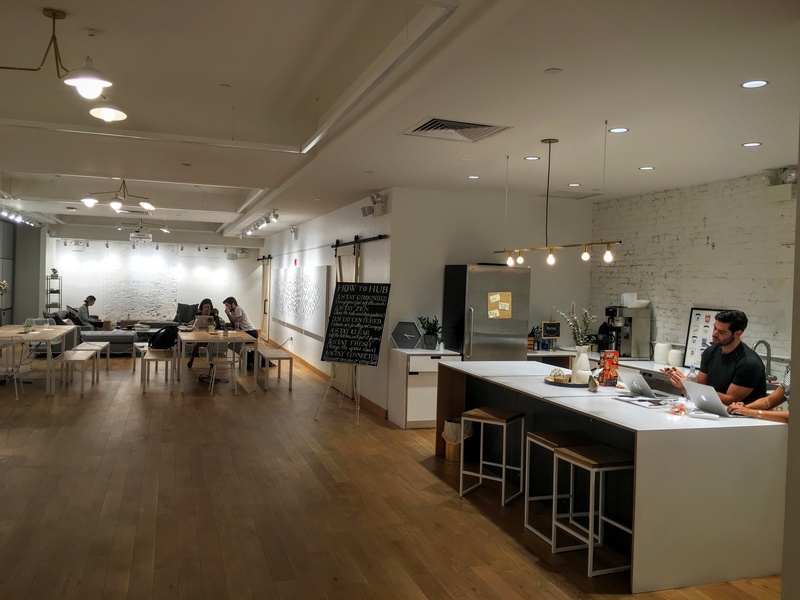 Lululemon’s flagship store in Manhattan’s Flatiron District opened in November 2015. The store offers much more than extensive shopping, including a concierge service and their unique community space Hub Seventeen. Hub Seventeen has its own website separate from the online retail store, with yoga and fitness classes, gallery nights featuring local artists, and workshops. It is the true brand interaction that makes Lululemon more than an activewear brand. Hub Seventeen and the experiences it provides make Lululemon a lifestyle. Now that you know the benefits of experiential marketing and ways you can execute the strategy, let’s look at some best practice guidelines to keep in mind. Whether this is your first, 10th, or 100th experiential campaign, it’s important to remember how the strategy ties into both your marketing and company goals as a whole. Throughout these seven points, we’ll continue to look at examples of brands that are achieving experiential success. Like all types of marketing, experiential market has best practices. Here are seven best practices to consider when implementing your own experiential marketing campaign. Customers having positive memories interacting with your experience is great. But, what if those memories don’t tie back to your brand? It pretty much defeats the purpose of experiential marketing! Lululemon is the perfect example of an offering experience that ties into the brand. It doesn’t just sell activewear, its stores are the destination for customers to wear it. And, given its clothing is worn when practicing yoga, which has an element of mindfulness, the company also offers workshops designed to promote this principle. For example, in December 2015, it held a “Transcend Holiday Madness Meditation” event. Another company with an in-store experience that intertwines its brand and target market is clothing store Missguided. Its products cater to female millennials who have their fingers on the pulse of fashion and all things pop culture. And what could be more pop culture than unicorns? 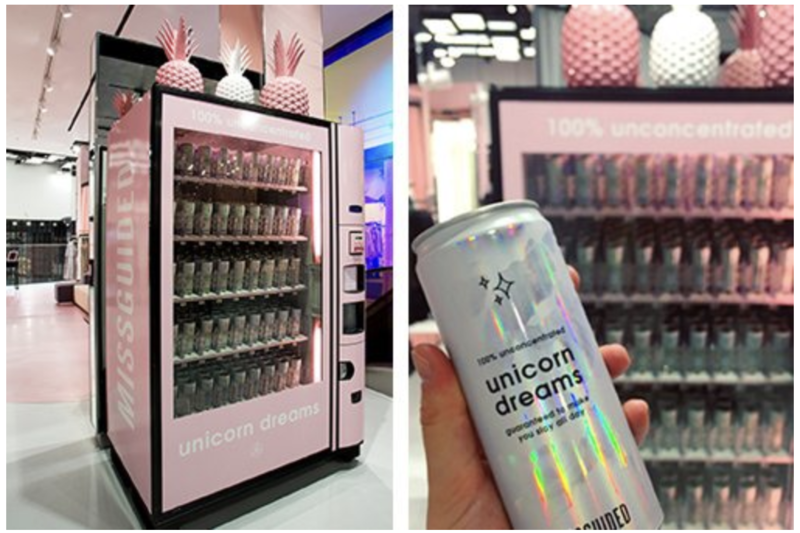 Not much, which is why unicorns were one of the many experiential elements of the brand’s first physical store in the U.K. The opening of the 20,000-foot flagship space in East London happened in November 2016, and there weren't just unicorns. Vending machines were selling the dreams and tears of this beloved mythical creature. In addition to unicorn dreams, there were hashtag props, frosted doughnut tires, and a bejeweled pink monster truck. The store set itself apart from competitors by creating an experience, making sure it was an experience that would resonate with its customers. Why are you executing this campaign, and what do you want it to achieve? Experiential marketing, by nature, has many benefits that can’t be ignored, including interacting with your customers, building relationships, and raising brand awareness. However, aren't those included in the goals for just about any marketing campaign? For your experiential marketing to be successful, you must get specific. What exactly do you want consumers to know about your brand? How can you measure your success? Some benefits of interactive marketing, such as brand affinity, are valid and important. However, they are difficult, if not impossible, to track accurately. It’s imperative to measure what you can. While brand awareness and affinity are essential to growing lasting relationships with customers, you need elements you can measure. In addition to guiding your strategy moving forward, marketing spend must be justified to a company’s decision makers. (And accountants!) Finding ways to track experiential success gives you a tangible way to back what you did and why. The Bumble Fab Lab in Sydney, Australia, created an experience that both tied to its brand and had specific goals that could be measured. Bumble is an app initially designed for dating. 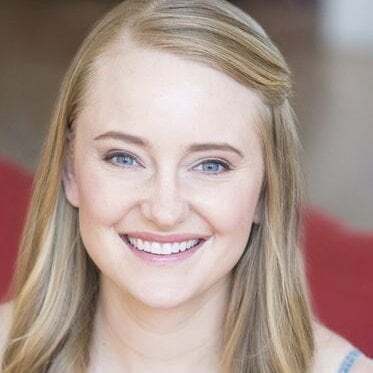 It has now evolved into a social networking app for relationships of any kind, including looking for friends or expanding professional connections. Given this, in 2017, one of the marketing team’s goals was to educate potential users that the app was now open to everyone -- even if you weren't single. The company created a truly interactive experience to expose new users to its brand. Based on the event’s description on Facebook, I cannot think of a better example of experiential marketing: “Get ready to...taste, smell, see, and create, all in the one place.” It’s the definition of engaging the senses! Bumble - The Bumble Fab Lab from Banter on Vimeo. Another of the company’s goals is to give value to its users, and the event was a perfect way to do so. In this Bumble Fab Lab example, success metrics included measuring foot traffic and feedback. Because downloading the app was the only requirement for entry, the experience also resulted in a higher number of users. The number of app downloads is a goal that could be measured. The company also looked at media coverage. Broadcast media coverage: Keep track of the exposure you receive on news publications, especially television coverage. You don’t have to be a big company to have a great story! Don’t forget more traditional platforms like radio and newer channels like podcasts. Sales: While you may not be able to measure all sales resulting from experiential marketing, track what you can. For example, hand out cards on-site with a promo code specific to the campaign. When attendees use that code, you’ll know the sale came from the event. Attendance: As you may have noticed, pop-ups are a common tactic in experiential marketing. Maintaining attendance records is an easy way to show how many individuals interacted with your brand. Social media shares: Given social media is such an essential element of experiential marketing, you can’t forget to track it! Measure the number of times your handle or the campaign hashtag were used on all channels, including Facebook marketing, Twitter, and Instagram marketing. Utilize platform analytics, such as your Twitter analytics dashboard, and measure social media engagement during the campaign compared to the average. When you’re looking for ways to measure your success, think about the action you want attendees to execute. This, combined with your measurable goals, will ensure you can back up the logic behind your campaign. Devoting your company’s revenue to 14,000 square feet of candy might not make sense to your accounting department. As a marketer, you have the metrics we just mentioned, such as publicity and social media shares, to measure your effectiveness. Your CEO and finance team don’t care about social media shares if they don’t result in revenue. Think about the actions people can take that will serve goals company-wide, not just your marketing team. 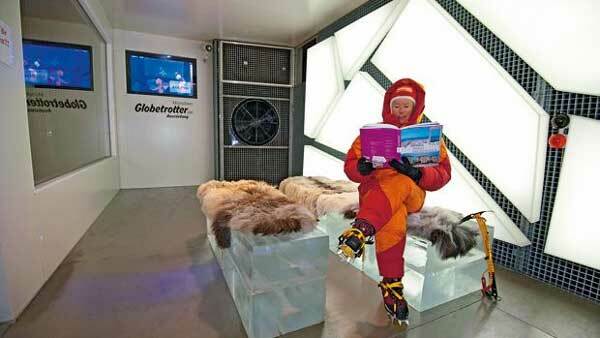 Globetrotter is a German company that provides sporting and outdoor equipment. Not sure if that jacket is as warm as it looks? Before lining up at the cash register, customers at the Globetrotter store can put new gear to the test. Stores were outfitted with rooms designed to simulate the experience the clothing was designed for, including freeze chambers with temperatures as low as negative 30 degrees Celsius. Eager for a hike, but prefer to stay above freezing temperatures? Instead of a freeze chamber, you can test out jackets, boots, pants, and more in a rain room complete with pouring water and storm grade winds. The action for customers to take is simple: buy the clothing Globetrotter sells. By letting customers experience the products in real-life elements, it eliminates the fear of purchasing. People are afraid products won’t do what they say they will. By getting to test them out before purchasing, customers are assured the jackets, boots, and hats will fulfill the promise on the tag, keeping them warm and dry when facing extreme elements. Robert Cialdini is the author of “Influence: The Psychology of Persuasion.” With nearly 2,000 reviews on Amazon, it is one of the most well-known books on the art of persuasion. The book contains six principles of persuasion. One of those principles, scarcity, applies to every instance of experiential marketing: it is unique. It’s not an experience that customers can find any time or any place, and it is usually short-lived. As Cialdini explains, when something is in short supply, people want it more. It’s a principle we are all familiar with. In fact, it even has its own acronym: FOMO -- fear of missing out. Get people excited about your experience by emphasizing it’s a limited opportunity. If they don’t take it right now, with you, they won’t have the chance to do so again. Netflix created hype around its immersive “Because You Watched” pop-up experience by offering it for just one weekend in June 2018. The limited time offering increased the value of tickets and gave it an air of exclusivity. Let’s not forget about the social media opportunities, either. These days, it’s not just an experience people are afraid to miss. They're afraid to miss sharing these unique experiences on social media, be it Instagram, Twitter, Facebook, Snapchat, or even YouTube. In addition to creating hype, the fact that the event was short-lived gave Netflix a wide range of media coverage, extending to major news outlets such as ABC news. Netflix is no stranger to creating short-lived events that people want to attend. 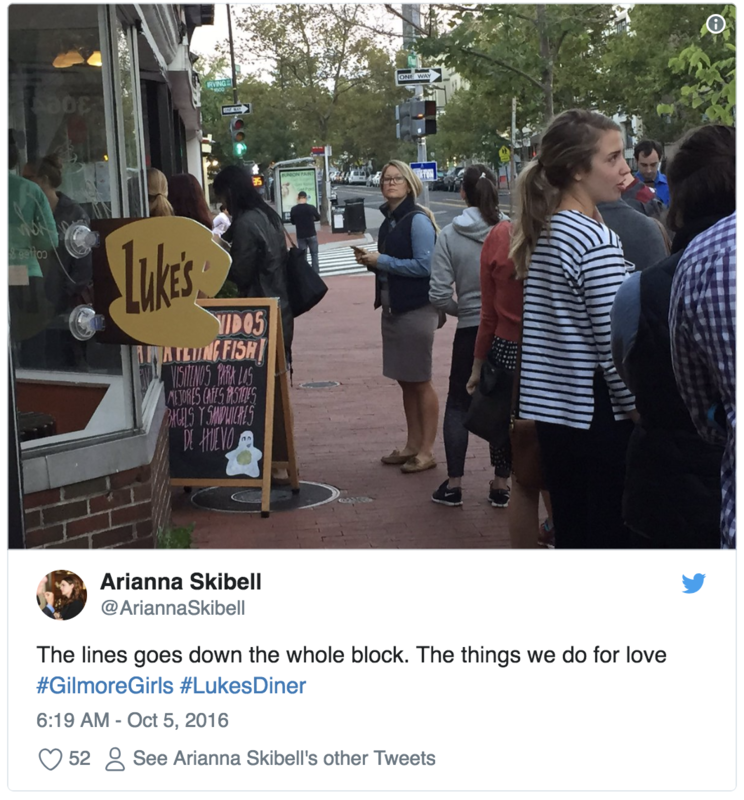 As part of its Gilmore Girls launch in 2016, the company created a real-life Luke’s Diner in each and every one of the 50 states. The catch? At each location, the diner was open for one day only, from 7 a.m. to 12 p.m.
Coverage of the campaign was featured in well-known publications, such as Glamour magazine. Creating hype before a limited opportunity ensures people are motivated (in these cases, extremely motivated!) to book their tickets and plan ahead. It also gives media publications an extra reason to cover the experience. Before the event, media outlets are doing their viewers a favor, alerting its consumers of the need to buy tickets. After the event, a high-turnout and long lines provide the perfect story for evening news coverage. Finding an event partner offers substantial benefits. You are doubling the resources you have to put into the event, and that includes employees and their ideas. One of the best ways to get creative campaigns is through collaboration. Cross-promotion has substantial benefits. If you can find a company to partner with that has a similar target market, but its product offering is different from yours, you both have the ability to reach new audiences. And, thanks to the guerrilla aspect of interactive marketing, you don’t even have to plan the partnership ahead of time! 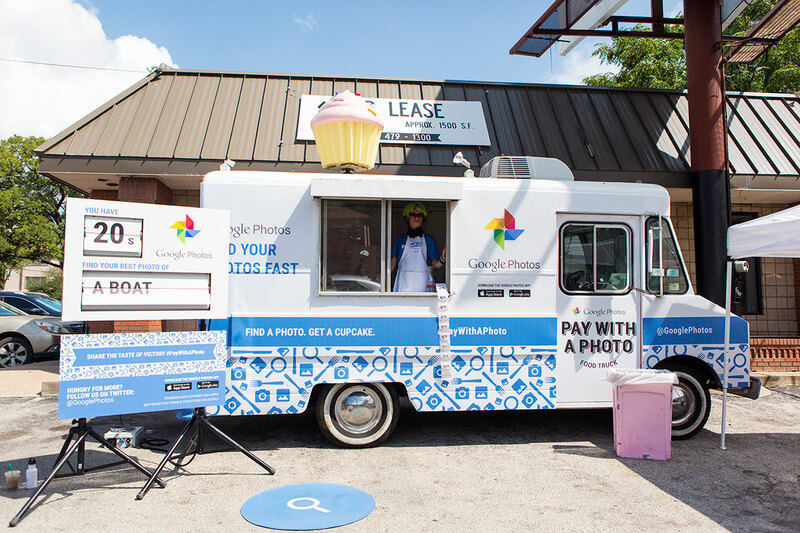 Google started the experiential initiative with its “pay with a photo” campaign, handing out free gourmet cupcakes. The payment for a sugar hit? Individuals were given an to find on their phone's pictures in 20 seconds. It was, no doubt, a great example of experiential marketing. Then, Zappos stepped in and took it to the next level. Zappos came along and set itself up right next to Google’s fancy cupcake truck appearing to be nothing more than a cardboard box. But, it was so much more. Instead of buying an item with a photo, Zappos let people #PayWithACupcake. In exchange for the cupcake, people found themselves receiving high-value items such as watches and sunglasses. Watch the video and see the campaign in action for yourself. I especially love to seeing the giant cardboard box run away like a mischievous child. Social media exposure is both a benefit and goal of interactive marketing campaigns. Knowing this, you can set yourself up for success by making it easy for people to share your event on social media. 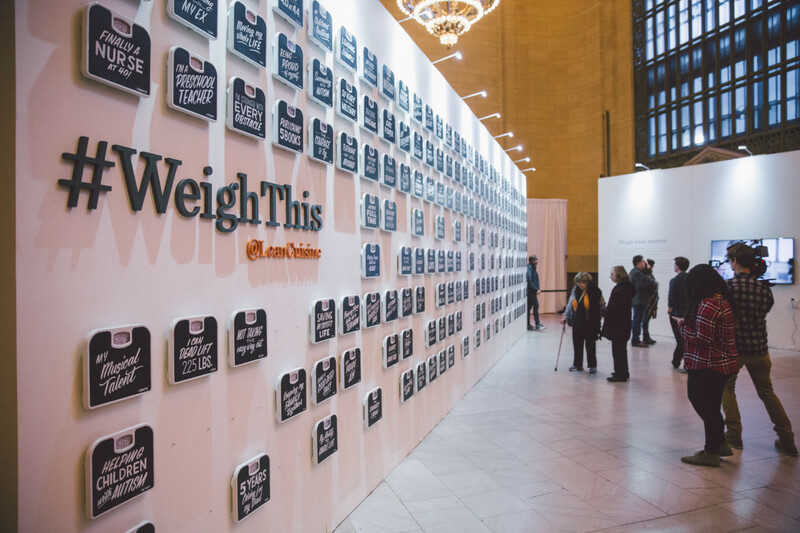 Just like events, experiential campaigns can have a designated hashtag created around the project. This is often the case for experiential projects executed on a large scale or with national exposure, such as Zappos' #PayWithaCupcake. In 2015 the company constructed an interactive art wall at Grand Central Station in New York City. The wall was designed to take away the anxiety and negativity of stepping onto a bathroom scale. Social media was an essential part of this campaign from start to finish. Lean Cuisine’s customers were asked to “weigh in what matters” on social media. The answers were then painted onto the individual scales by artist Annica Lydenberg. Social media was also a part of the event installation itself, with the hashtag being an integral part of the design. Anyone wanting to take pictures of the wall and share on social media knew exactly what hashtag they needed to participate in social media conversations. Lean Cuisine also shared its social media handle, making it easy to include them in online mentions. And it worked. Lean Cuisine saw a 428 percent increase in social media mentions. Not all experiential marketing is memorable, but, in case you haven't figured out, the best campaigns are. Take event marketing, for example. While all events are experiences, as shown throughout this article, the branded experiences we remember and share require more than a date, time, and location. If you are hosting events as part of your marketing strategy, look for ways to include interactive elements at the event. Look at the examples shared throughout this article. How many of them are what you expect to see when you’re walking down the street on an average Saturday afternoon? For one final example, consider Orchard Valley Harvest’s mobile orchard. Instead of leaving the city to enter the relaxing oasis, it traveled through major cities in the form of a bus. Sitting on a swing enjoying your wholesome snack in the middle of the urban jungle is a surefire way to make sure your brand is remembered and puts a smile on peoples’ faces. Experiential marketing is where your creativity shines. To excel in this strategy, you can’t be afraid to take risks and step outside of your comfort zone. There is often a bigger budget involved, but the payoff, in terms of social media shares, loyalty, and brand awareness, is worth it. The memories you create from your experience will have people looking back on their engagement with your brand with a smile for years to come. Find ways to measure what you can and brainstorm with a genuinely open mind. If your budget allows it, look to partner with an experiential marketing agency. An agency’s expertise will guide you through unexpected moments and technicalities, such as city permits. And, above all else, remember to keep it fun!